Fiona the baby hippo. Image source. 1. Aladdin Makes No Sense (posted September 28) "Also if the cave says 'only one can enter' but then clearly allows two, maybe it just means that the rules don't apply to Abu. But then how come they all of a sudden apply to Abu when he touches the giant ruby?" 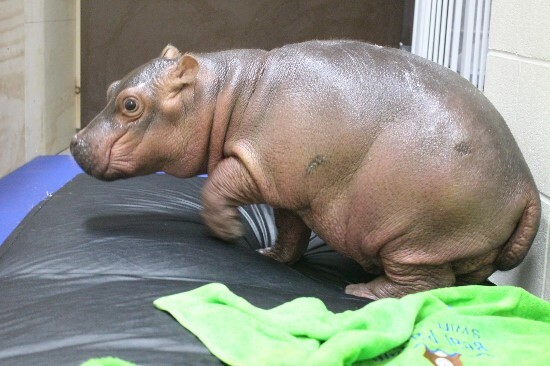 2. omg are you following Fiona the baby hippo (from the Cincinnati Zoo)? She is the cutest thing ever! Here watch this video and see how cute she is. She was born premature and it's really amazing how hard people worked to help her survive. 4. Every Member of Congress Who Took Money From the NRA and Tweeted 'Thoughts and Prayers' to Las Vegas (posted October 2) Vote them all out. 5. A Few Remarks on the Problem of Psalm 22:16 (posted 2015) "There is widespread agreement among critical scholars (including all those surveyed here) that Psalm 22 is not a depiction of crucifixion, and that the Septuagint’s translation of “dig” is incorrect."